"Wayne County Circuit Judge Brian Sullivan issued the order Friday that blocks Project Veritas and a woman said to be working with the group, Marisa Jorge, from disclosing videos or other information gathered during an undercover operation carried out against the American Federation of Teachers office in Detroit. " This may be precedent-setting. Let's see what happens with the First Amendment, wire and mail fraud. an organization run by conservative provocateur James O’Keefe. Wayne County Circuit Judge Brian Sullivan issued the order Friday that blocks Project Veritas and a woman said to be working with the group, Marisa Jorge, from disclosing videos or other information gathered during an undercover operation carried out against the American Federation of Teachers office in Detroit. AFT alleges that Jorge, using the name Marissa Perez, obtained an internship at AFT beginning in May of this year and that during the internship she often acted suspiciously. AFT says that Jorge is actually a Liberty University graduate but that she posed as a University of Michigan student when seeking the internship. The union alleges that earlier this year Jorge tried to infiltrate DisruptJ20, a group opposed to President Donald Trump’s inauguration, but that she was identified and driven out. Several of Jorge’s social media pages appear to have been abruptly taken down in recent days. The restraining order issued Friday is unusual. It was granted at a hearing where Project Veritas’ attorneys were not present. The judge set another hearing for Oct. 10 to decide whether the order should be continued. A spokesman for Project Veritas, Stephen Gordon, dismissed the significance of the lawsuit. AFT President Randi Weingarten praised the judge’s order. 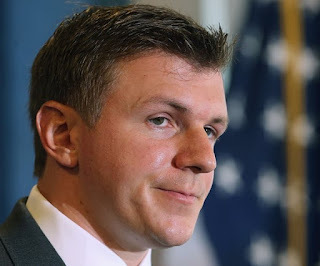 O’Keefe has carried out a series of high-profile video operations against organizations like Planned Parenthood and ACORN, as well as news outlets, including NPR and CNN. In 2010, O’Keefe was arrested for posing as a telephone repairman in order to gain access to an office of Sen. Mary Landrieu (D-La.). He eventually pleaded guilty to a federal misdemeanor, was fined $1,500 and was sentenced to probation. The new suit seeks at least $50,000 in actual damages and $3 million in punitive damages. 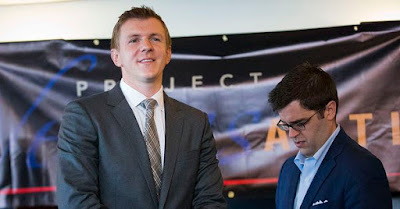 O’Keefe and Project Veritas are already facing a $1 million lawsuit brought by liberal activists who say they were targeted by an O’Keefe-directed operation aimed at making them appear to be instigating violence at Trump presidential campaign rallies and events. DETROIT—A circuit court judge has signed an emergency restraining order that prevents Project Veritas, a conservative hit group that uses deception and lies to attack its political opponents, from using illegally obtained information to smear Michigan children, teachers and families. AFT Michigan on Thursday filed a civil complaint against Project Veritasand its operative Marisa Jorge for their fraudulent, unauthorized and unlawful surveillance of AFT Michigan staff, leaders and associates, and for gathering information from them. In response to the complaint, Judge Brian Sullivan of Michigan’s Third Judicial Circuit Court issued a temporary restraining order prohibiting Jorge, her agents and anyone acting in concert with her from releasing private and confidential information gathered from any unlawful surveillance. 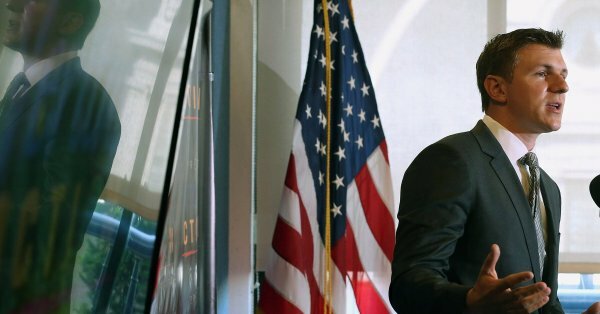 It is believed to be the first time Project Veritas, founded by conservative activist James O’Keefe, has been subject to such an order in its near decade-long existence. Jorge used fraud and deception under the alias "Marissa Perez" to secure an internship with AFT Michigan, ostensibly to obtain material Project Veritas could use in one of its infamously misleading hit videos, according to the complaint. Jorge falsely claimed to be a student at the University of Michigan interested in becoming a teacher when, in fact, she is a recent graduate of Liberty University and appears to be working for Project Veritas. The restraining order is against Jorge as well as “her agents, employees and those acting in concert,” which would include Project Veritas, also named in the complaint. Project Veritas is funded by a constellation of conservative backers and has frequently targeted teachers unions. Indeed, O’Keefe recently vowed to use his puerile tactics in defense of embattled Education Secretary Betsy DeVos who, coincidentally, is from Michigan where this criminal infiltration occurred. Project Veritas has in the past received funding from the Trump Foundation. O’Keefe has demonstrated his willingness to ignore both legal and ethical standards. Long before the Russian government propagated fake news and deceptive tactics to sway the 2016 presidential election, O’Keefe was assuming false identities and doctoring videos in his attempts to smear his ideological opponents. AFT President Randi Weingarten says, “James O'Keefe and his operatives will stop at nothing to smear their ideological opponents—deception, distortion and dirty tactics—all to advance a political agenda that undermines public school students, teachers and families.